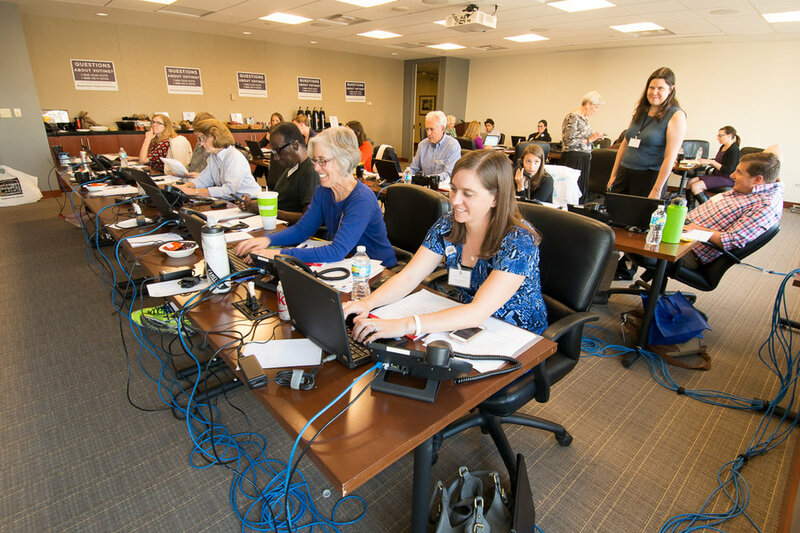 Attorneys and law students answer phones and log calls during the Nonpartisan Election Call Center at Brownstein Hyatt Farber Schreck, LLP in 2016. The Call Center, which is held every two years, is sponsored by Just Vote! Colorado Election Protection, a nonpartisan voter assistance project and is not affiliated with or promoting any party, candidate or ballot issue. Just Vote is a coalition of several organizations: the Colorado Lawyers Committee, Colorado Common Cause, Mi Familia Vota, Disability Law Colorado, and the League of Women Voters of Colorado.